For years, our best-selling winter glove has been the Tucano Urbano Aviator. It has kept many a customer and Urban Rider staff member warm during winter rides. 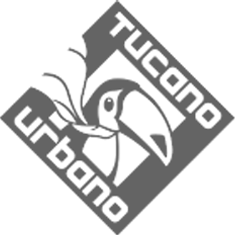 Safe to say we were a bit disgruntled when our Italian buddies at Tucano announced they were discontinuing the Aviator. Until we saw what they replaced it with: The Barone is a full goat leather glove with a synthetic sheepskin inner. The biggest difference with the Aviator is the change in the lining: the palm has been given a microfibre lining to improve dexterity and feel for your bike's controls. The Barone will keep you warm on colder days. Sporting a synthetic fur lining and breathable waterproof inner membrane, this glove is truly designed for the winter commuter. The gloves are also touchscreen compatible and meet the EN 13594:2015-CE safety standards for motorcycle gloves. This is achieved in part through the soft D3O armour insert located on the palm. An extra long cuff ensures that adequate wind protection is in place. A thing we don't often say about winter gloves is that they look good, but the Barone is one stylish looking number! Brass hardware and a YKK zip contrast the matt black goat hide and look pretty damn smart.